Once a year, investors from all over the world flock to Omaha, Nebraska, for one primary reason: to learn. And the crowd that gathers ranges from beginners who are just just starting out to many of the Investment Masters themselves. Prior to this year's meeting I was fortunate to chat to Chuck Akre, a true Investment Master. Chuck told me he'd been attending the meetings for over 30 years. 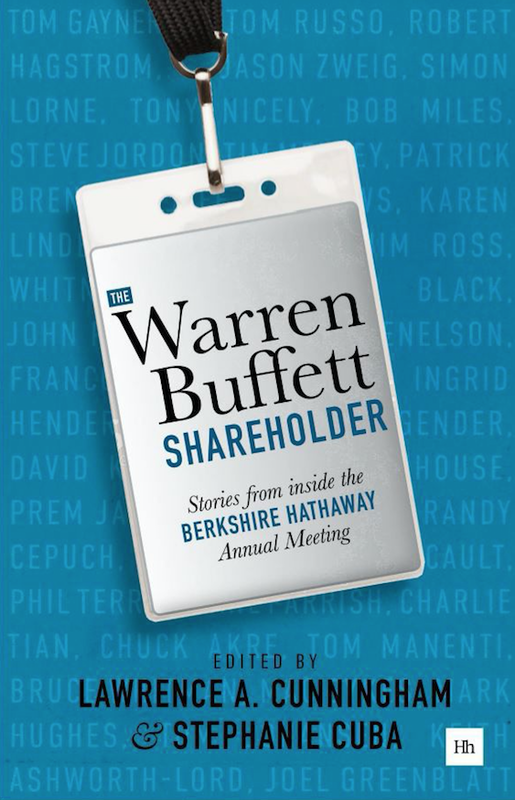 The recently published book, 'The Warren Buffett Shareholder - Stories from inside the Berkshire Hathaway Annual Meeting', contains lots of anecdotes from great investors and business people on their annual pilgrimage to Omaha. The Annual Meeting is an integral part of Berkshire's culture. While it provides a platform for Warren and Charlie to get across all the information and answer shareholder questions, it also helps them find like minded-investors. "Warren and Charlie understand that companies, over time, largely get the shareholders they deserve, and by communicating as honestly and clearly as they do at the Annual Meeting, they contribute to Berkshire's attracting an extraordinary group of shareholders." Robert E Denham, Partner Munger Tolles & Olson, LLP. The book is full of anecdotes and quotes that are both enjoyable and enlightening. Its clear to see that many Investment Masters journey to Omaha regularly and have both enjoyed and profited from the learning. And with the recent release of the annual Berkshire meeting videos, a veritable gold mine of investing nuggets, that wisdom is available to all of us. In my last post I outlined a number of important and enlightening themes that had been conveyed in those videos. As a follow on from Part One I've put together a further collection of themes that I enjoyed, and those of which expanded upon or challenged my own way of thinking. "We’ve learned a lot from annual reports. For example, I would say that the Coca-Cola annual report over the last good many years is an enormously informative document. I mean, I can’t think of any way if I’d have a conversation with Roberto Goizueta, or now Doug Ivester, and they were telling me about the business, they would not be telling me more than I get from reading that annual report. The true value in these meetings, and in all the learning you can take from them, is that if you go just once, don't expect to learn everything there is to know. Many of the Investment Masters that I have met and that I read about in the book above, have continued to attend even though they are incredibly successful in the investment field by their own right. And why is that? Because they have continued to learn every single time they went. 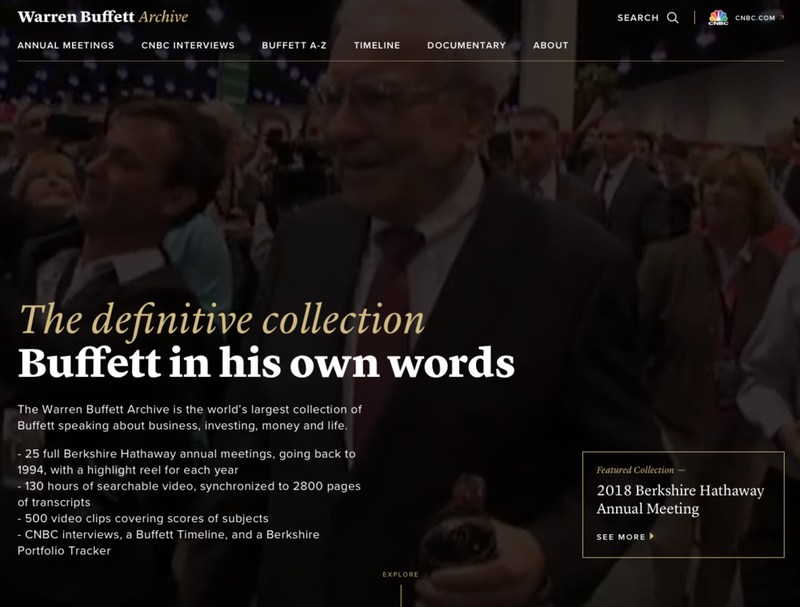 The Berkshire videos that have been released go back to 1994; that's over twenty years of history that allows all of us who haven't been privileged enough to attend to learn as if we were there. And that's gold to me. So if you've been thinking about attending the Berkshire Meeting, I've got one suggestion .. 'Just Do It'. Newer PostJohn Neff - a Fifty Seven Bagger!